Peppermint isn't my go to flavor, unless we're talking gum. In December, however, that all changes! I can't seem to resist mint oreo truffles or chocolate mint puddles, both of which are now Christmastime staples for us. When a reader/soon to be running buddy/sister of a friend who happens to share a name with my sister (Julia) emailed me this recipe last week with a personal recommendation, I knew it was the perfect thing for my December mint addiction! With a cream cheese base, this fudge is stickier than other versions I've had. 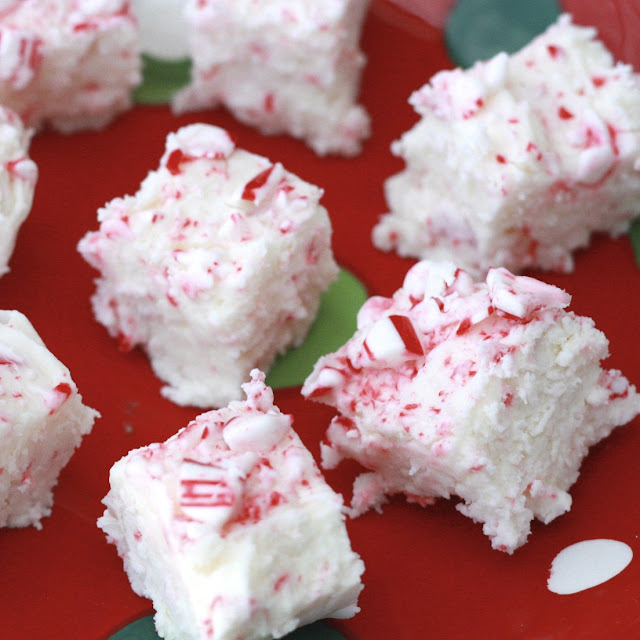 I loved what the cream cheese added--along with the peppermint and white chocolate it was a perfect match! Tell me, what's your "Christmastime only" obsession? 1. Line an 8-inch pan with wax paper and set aside. 2. Beat cream cheese with confectioners sugar until creamy. Stir in peppermint extract. Meanwhile, melt white chocolate over in the top of a double boiler or in a heatproof bowl placed over a pot of simmering water. Stir until smooth. 3. Allow chocolate to cool slightly before stirring into the cream cheese mixture and beating until smooth. 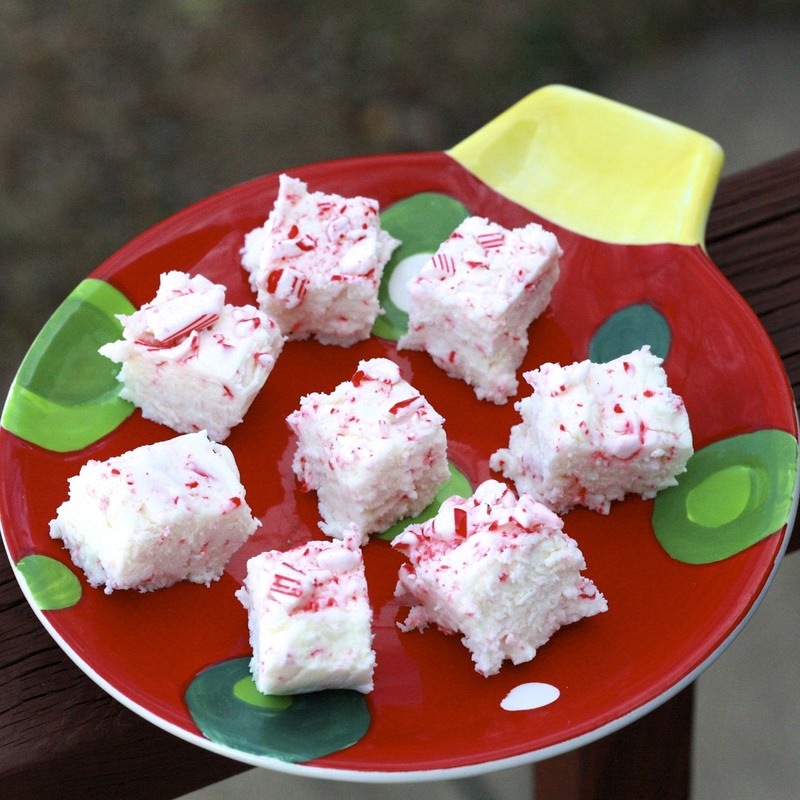 Stir in the crushed candy canes (reserve a few tablespoons for decoration). 4. Spread the mixture into the prepared pan. Top with remaining candy canes. Cover and refrigerate until firm, at least 2 hours. Cut into small pieces and serve.